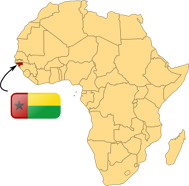 We're missionaries with West African Vocational Schools (WAVS) and we are pretty crazy about a tiny little country in West Africa called Guinea-Bissau. Check out the rest of website to find more information about us, our team, what we're doing, and how you can be a part of it. Don't forget to take a look through our pictures and videos too! Check out the tool Jason is making to speed drinking water filter finishing in our May newsletter. April newsletter is live, and don't forget you can take a walk down memory lane with years of newsletters in the archive. Our March mega-newsletter is up with lots of pictures of the remote school roof project we just finished! 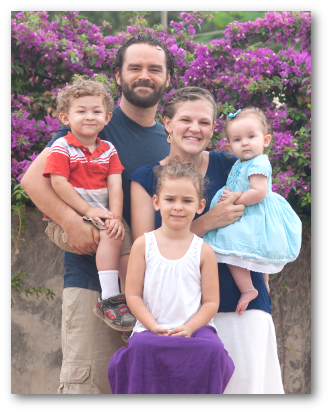 Our ministry is funded primarily by individuals whose hearts God has called to be involved in what He's doing in Africa. If you'd like to donate to our ministry, please click the link on the right to go to the West African Vocational Schools giving page, where you can choose to make a one-time gift or join our regular support team with monthly gifts. Thank you!